Tiffany Scott was born in Montana, and raised in Arizona. Tiffany studied as an undergraduate at Arizona State University, where she earned a Bachelor of Science in Justice Studies and graduated with honors. Tiffany has always believed in the importance of advocating for others, and decided to pursue a law degree in order to make a career out of that passion. She received her law degree from the Sandra Day O’Conner College of Law at Arizona State University, where she was named a Pedrick Scholar for her academic achievement. During law school, Tiffany developed a passion for family law on both a personal and professional level. 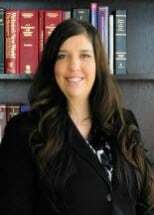 Tiffany is now a practicing family law attorney, and handles a variety of legal issues, including divorce, child custody (legal decision-making), parenting time, child support, spousal maintenance, severance and adoption, and post-decree modification and enforcement. She understands the emotional and sensitive nature of family law issues, and believes in the importance of having an understanding, trustworthy and approachable relationship with each client. Prior to joining the firm, Tiffany worked with the Arizona Justice Project, where she worked as an advocate for inmates filing for post-conviction relief, based on wrongful convictions and manifest injustices. Tiffany is admitted to the State Bar of Arizona and the United States District Court for Arizona, and practices out of both our Queen Creek and Gilbert offices. When she is not at the office, Tiffany and her husband enjoy spending time with friends and family.